Finding the right toothpaste for you starts with recognizing the special needs of your teeth and mouth. Toothpaste that is right for other people is not necessarily right for you. Lots of choices of types and brands of toothpaste that are sold in supermarkets. Which should be chosen? The following are some types of toothpaste based on the content and use. Fluoride is the most important mineral material and must be contained in every brand of toothpaste. This mineral serves to renew minerals in the area of your teeth that begins to be damaged by acid. In addition, it can help email or the outer layer of teeth remain strong and protected from damage caused by acid from the results of food processing in the mouth. Initially, tartar is a plaque or bacterial layer on the teeth which then hardens and eventually is difficult to clean. If the plaque is not immediately cleaned regularly, it can cause a buildup that will cause disease in your gums. 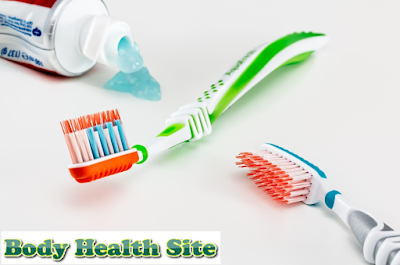 Some toothpaste claims to contain ingredients such as pyrophosphate and zinc citrate which can prevent the formation of tartar. Also contains triclosan antibiotics which can help kill bacteria in your mouth. But on the other hand, actually, tartar can only be removed by the dentist and cannot just brush your teeth. Even anti-tartar toothpaste can actually cause teeth to become sensitive to cold. To get rid of plaque, all toothpaste can definitely remove plaque if you are diligent in brushing your teeth and with the right techniques. Toothpaste, usually containing potassium nitrate or strontium chloride, is highly recommended for people whose teeth are easily hurt when exposed to hot or cold foods. The ingredients in it help block the nerve tract in the teeth. It must be remembered that the best way to deal with sensitive teeth is to take care. Not reduce the sensation of pain. Toothpaste that is claimed to be able to whiten teeth generally contains a cleanser that serves to remove stains on the teeth and superimpose them so that they look brighter. In general, toothpaste with bleach is relatively safe to use every day, but using it too often can damage tooth enamel. There is toothpaste containing baking soda which is claimed to be able to remove stains on the teeth. Actually, this material will actually lose its benefits if exposed to water. This type of toothpaste can only remove stains on the surface of your teeth, but cannot change the original color of your teeth. Make sure the toothpaste brand has been registered with the Food and Drug Supervisory Agency to be tested for its safety and effectiveness. Get to know your needs and family. For toddlers, avoid mint with toothpaste. It's okay to try a number of different toothpaste brands to find which one is the most appropriate. Another way is to ask for the right toothpaste recommendation to the dentist who really knows the condition of your dental health. 0 Response to "Revealing Facts about Toothpaste"